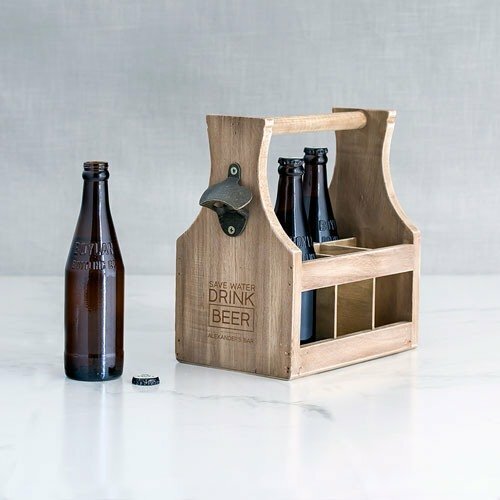 Have your groomsmen store their favorite beers in style, with this personalized wood bottle caddy with opener. Handsomely made of pine wood and alloy metal, this caddy holds up to six beers, and provides the most convenient way to pop off those bottle caps. 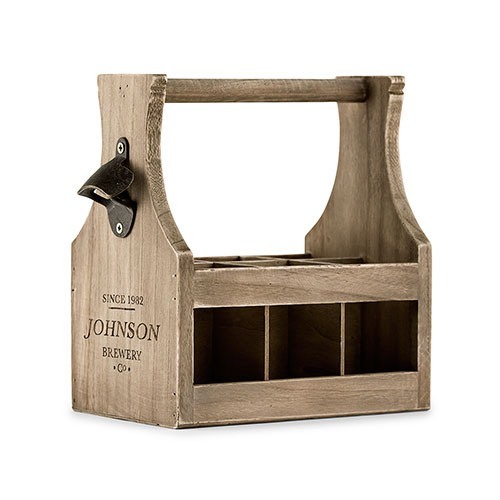 Personalize it to make it even more special.